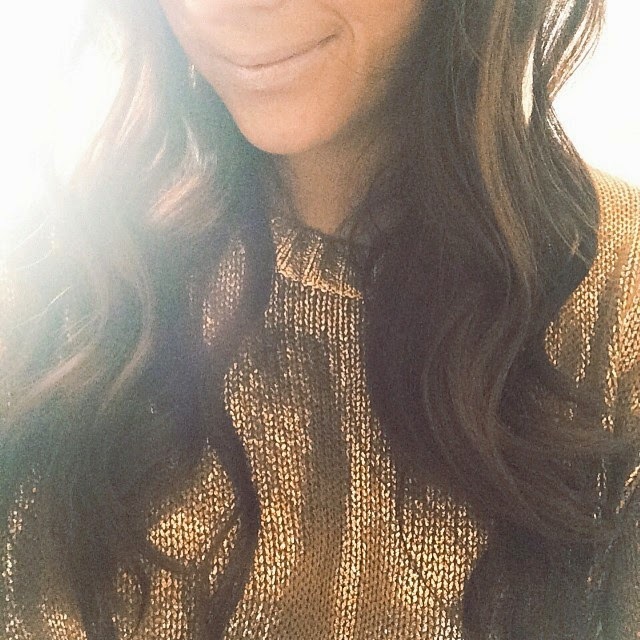 As my bangs have been growing out I have looked for new ways to pull my hair out of my face. 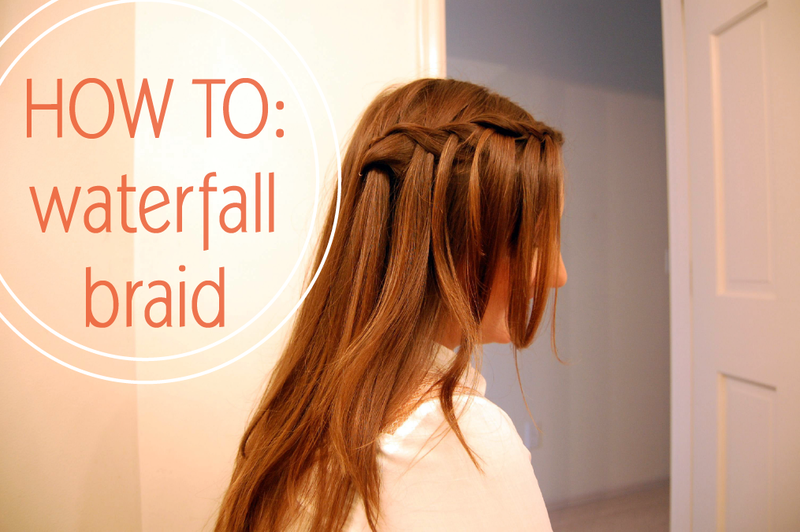 While the 'Lauren Conrad' braid is a nice fall back, I have loved photos of the waterfall braid floating around the blogosphere lately. The look is simple and easy if you already know the basic of french braids. I braided mine loosely in big sections to get this look but it can be braided tight and in smaller sections to show off more. Step two: When it comes time to grab hair from the bottom, drop the piece and grab a new piece to braid into. 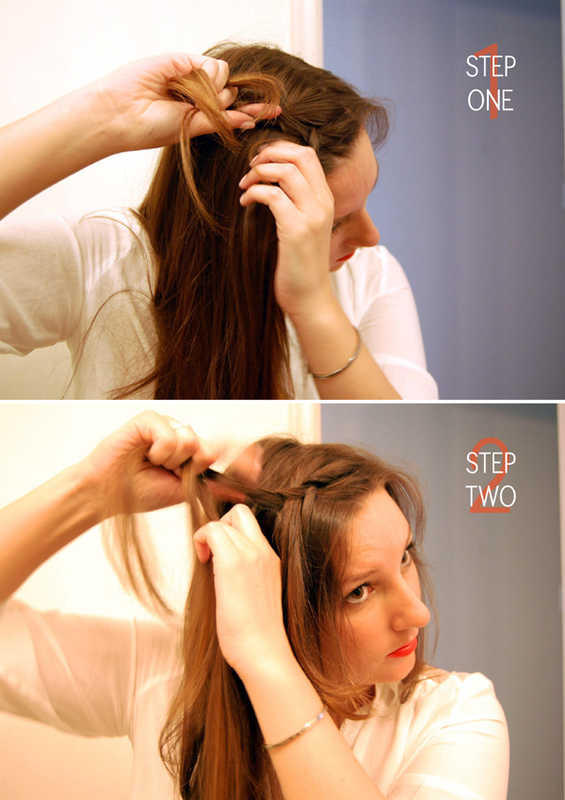 Repeat steps one and two until finished and secure with a bobby pin. 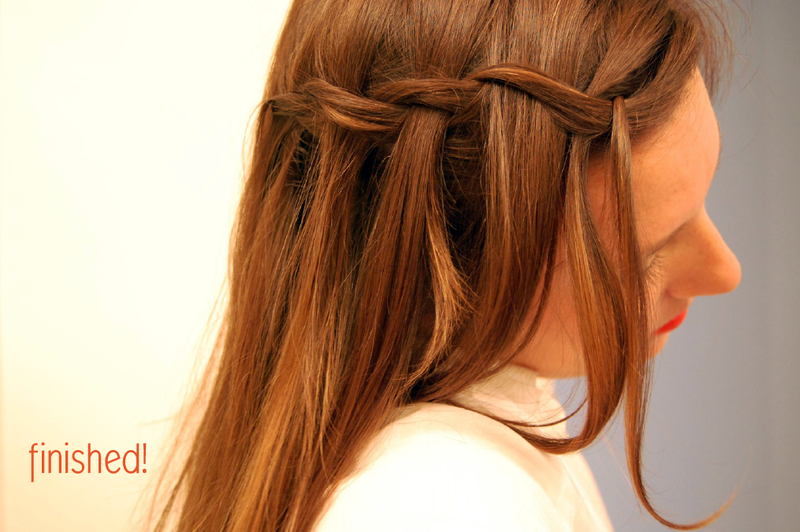 Braid the waterfall way with wavy, messy or straight hair! oh wow it is so beautiful! yayy! I was wondering how people did that! Can't wait to try this out. Gorgeous! I'm not sure I'm coordinated enough for this. I love the hippie-ish vibe of this look.